From tracking spending, budgeting, expense reporting and invoicing, small business owners know that money management is essential to success, but few have the time to devote to the task like they should and that could mean lost revenue. Fortunately, there are money management apps that can help, and we’re comparing two of the most popular. Read on to discover whether Mint or Expensify is best for small businesses and why. 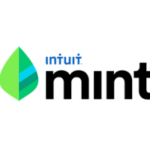 Mint uses the same 128-bit SSL encryption that banks use, and it practices are monitored and verified by TRUSTe and VeriSign. Mint is a read-only app, so no one (not even the account holder) can move money into, out of, or between accounts. Should you lose your device, access to Mint can be turned off remotely. Expensify uses bank level security to keep users’ data safe, and the moment your press enter your data is encrypted. Expensify also complies with the Payment Card Industry Data Security Standard, which is the same standard that is used by PayPal and Visa. Adding another level of security, Expensify subscribes to daily probing by McAfee, to ensure it can protect users against the latest hacker tactics. Mint makes categorizing expenses trouble free. Select from hundreds of expense categories or create your own and Mint will file your transactions in the proper category. Mint makes understanding your expenses easy with straight-forward language describing purchases instead of the jibber-jabber you find on bank statements. It also smartly separates any ATM withdrawal fees from the amount withdrawn so you can keep track of just how much you’ve spent in bank fees. You can set up Mint to notify you of upcoming payments to prevent late fees and its straightforward expense timeline shows you what bills are due soon so you can plan accordingly. Mint gives you lots of ways to identify and categorize your expenses, but it doesn’t offer a receipt feature. Expensify’s expense and receipt features are much more powerful than Mint’s, and that’s probably because it caters to the business professional. Like Mint, it lets you import your bank and credit card transactions and allows you to organize expenses into categories. But Expensify also gives you the chance to add tags and comments to your expenses and lets you capture mileage, time and any other billable expense. Use Expensify correctly, and you might not ever have to keep track of that pesky little paper receipt again. That’s because Expensify offers you the convenience of importing receipts directly from apps like Evernote and can capture any web page as a receipt. Mint offers small businesses lots of ways to set goals, track goals and create budgets. It also calculates your average spending in any category based on historical spending to help you develop a reasonable budget or attainable savings goal. Mint can send you monthly emails that track your progress, and also suggest ways to reach your goals. It will alert you if you’re going over budget, and provide you with a weekly summary of your spending and savings so if you get off track you’ll know it right away. Expensify doesn’t offer goal setting or budgeting features but is does offer analytics to alert you to your spending. It can also create charts that compare spending across several criteria and saves graphs for at-a-glance analytics. Mint offers loads of goal and budget options, but because it wasn’t primarily design for business use, it doesn’t offer invoicing. With Expensify, you can transform an expense report into a customized invoice with just one click and send it off to your client right within Expensify. You can even set up your account to accept online payments through direct deposit, and PayPal. Mint is backed by a robust customer support platform that centers on its community powered forum where answers to Mint related questions can be found. It’s also a place to provide ideas, suggestions for improvement and feedback. You can email Mint if you have a question that isn’t answered in the forum, and Mint says someone will typically respond within 24 hours. There is no phone number for Mint and no live support option. Like Mint, Expensify doesn’t offer a phone number or a chat line, but it does provide a range of free workshops and recordings- including those designed for small businesses. Its Help page offers over a dozen categories (and a plethora of subcategories) and the answers it provides are clear and concise. You can email Expensify, but the website doesn’t specify how long you might wait for a reply. Mint is a great app if you want to find out where your money goes, make a reasonable budget and set financial goals, but if you’re an entrepreneur, freelancer or business owner looking for an app that not only tracks spending, but simplifies and streamlines the expense and invoicing process, Expensify is hands-down the best choice. If you’re looking for full software suites that can itemize all of your solutions, a full-option accounting software may be your best solution. Next Article How Much Should a Business Computer Cost?